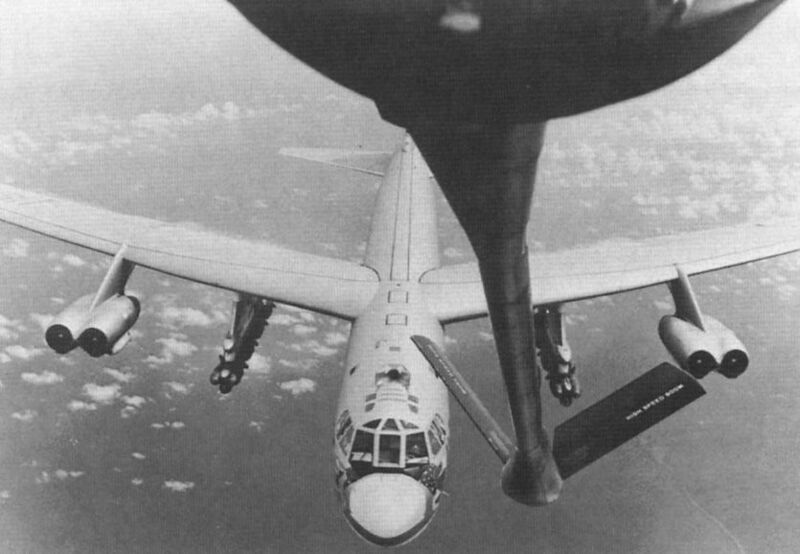 The first B-52 Arc Light mission was flown against the Viet Cong on June 18, 1965. 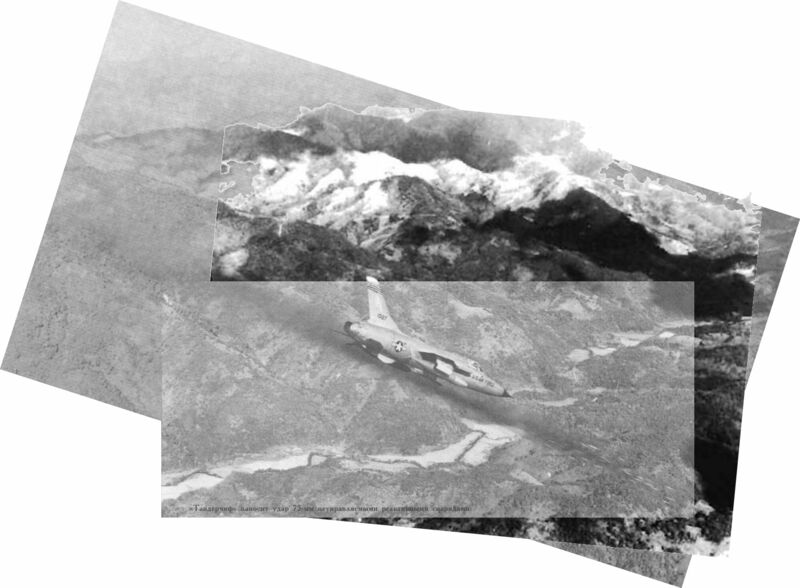 Two B-52s collided en route. Bien Hoa air base after Viet Cong mortar attack on B-57 ramp on November 1, 1965. 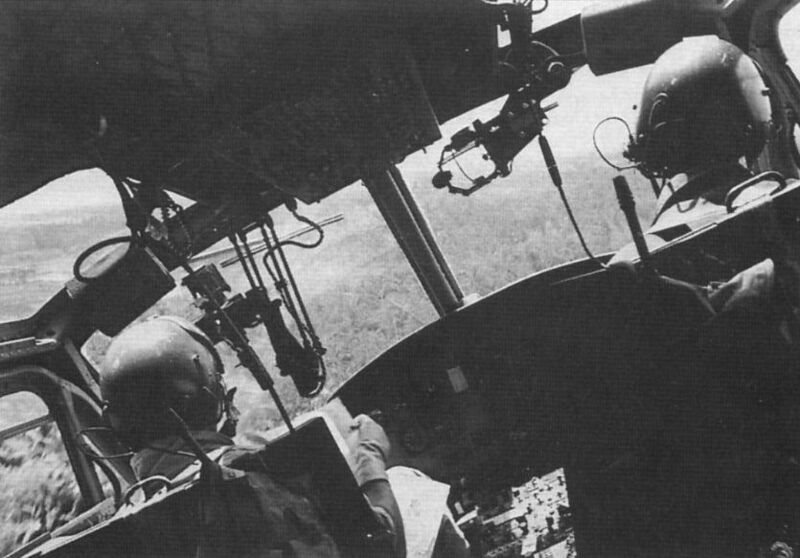 Five were destroyed, including two burnt to the ground, and 15 damaged. "Тандерчиф" наносит удар 75-мм неуправляемыми реактивными снарядами. 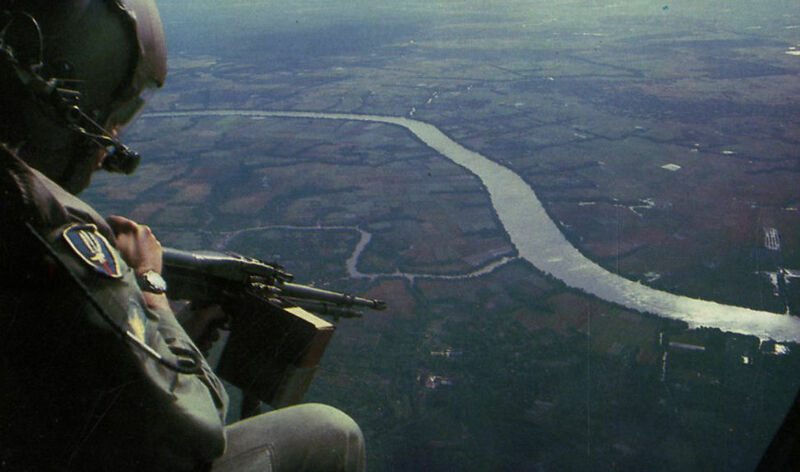 A North American F-100 Super Sabre on a bombing mission against Viet Cong positions. 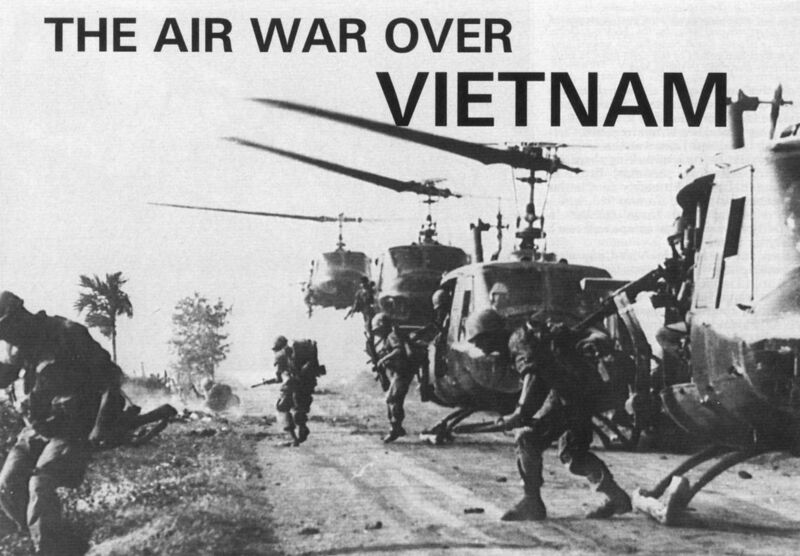 Forty F-100s were used in the first Operation Rolling Thunder air attack, which took place at Xom Bong on March 2, 1965. Two of them were lost to enemy ground fire. 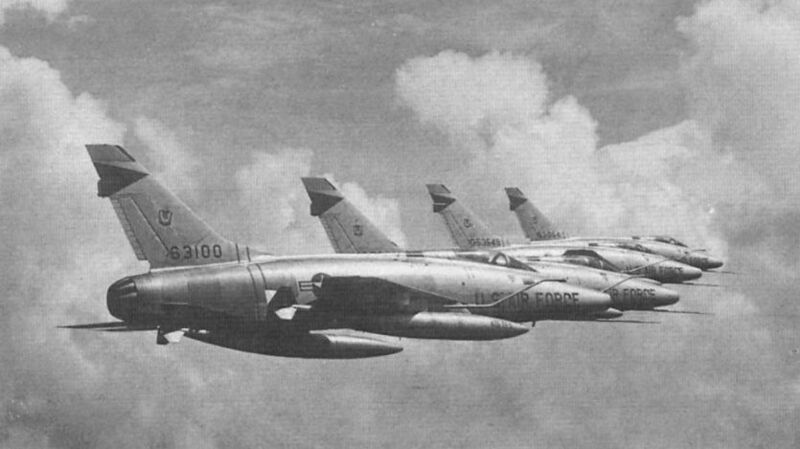 F-100 Super Sabres of the 481st Tactical Fighter Squadron deployed to Tan Son Nhut in June 1965.